Salumi, Salami, Chacuterie…. What’s the difference? It can be a little overwhelming choosing a couple of cured meats out of a vast selection, and it can be even more difficult to identify what they are exactly and harder still to execute their pronunciations. Well, we are here to help answer a few questions and hopefully make you feel more confident about your meat selection. Salumi is an Italian blanket term for a wide range of cured and smoked meats, including salami, prosciutto, pancetta and many, many more. The term is also used for the process of sausage making and curing. Chacuterie is basically Salumi in French and again encompasses a wide range of cured and smoked meats, also describing the process of making these meats and the name of the store where these products are sold. Salami is cured sausage. So meat that has been minced, put into casing and cured. It sits among the many others in the world of Salumi and Chacuterie and originated in Italy. Now that’s clear let us start to look at a few of our favourite Salumi and Chacuterie.... it is hard to only choose a few! Saucisson- French for Sausage, it is a traditional French Salami, typically made with Pork. 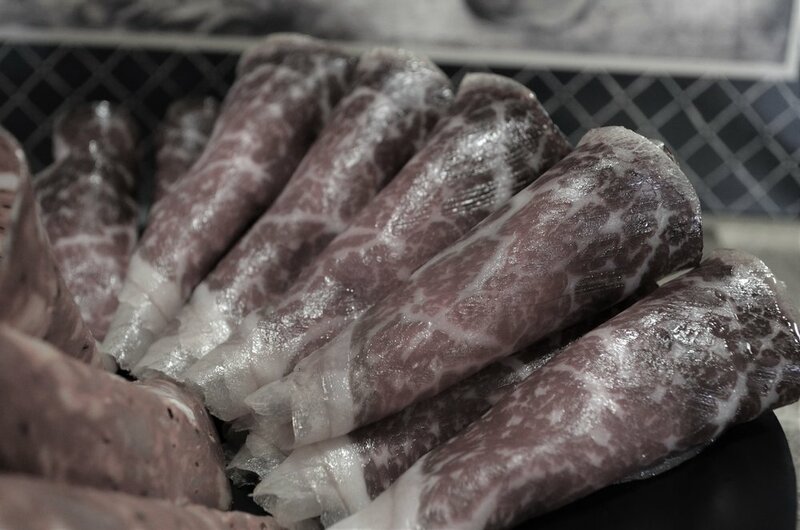 Our Saucisson at Pork Ewe is made from Berkshire pork and is flavoured with salt and pepper. In France you can get a wide range of flavoured Saucisson, some with Roqurefort, nuts or figs. Caccatorie- A Traditional Northern Italian salami flavoured with salt and pepper. Translates as ‘hunter’ as it was a popular food selection for hunters due to the longevity of the product. Proscuitto- Italian cured pork leg. The leg is treated only with sea salt and is air dry cured for many months or years. Coming from a variety of regions, each region believing theirs is of the best quality. Capocollo- Italian pork scotch fillet/pork neck which is salted, cured and dried for about 3 to 6 months. Jamon- The Spanish word for Ham, cured pork leg, available from varying regions and pig breeds as well as a variety of grades. Traditionally sliced very thin and enjoyed as part of Tapas. Sobrassada- A Mallorcan salami made with pork and paprika which remains soft due to the climate it is cured in. We hope next time you come to our Chacuterie to select from our range of Salumi, you pick a delicious Salami and understand a little more.